Replacing the True HEPA and carbon filters in your Fellowes Air Purifier is as easy as 1-2-3. First, make sure the unit is turned off and unplugged. Then, pop open the front panel and remove the dirty carbon or True HEPA filters, and replace with clean filters. Second, plug the unit back in and turn it on. Locate the filter replacement button and press the button for one second to toggle between the True HEPA and carbon filter indicators. 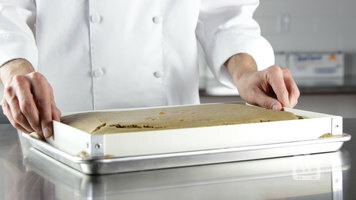 Once the correct filter indicator is selected, hold the button for three to five seconds, until you hear a short beep. The red light on the filter indicator will then turn to green. Third, snap on the front panel and get ready to breathe purified air. Check out the video for a tutorial on how to change your True HEPA and carbon air filters for the Fellowes Air Purifier. 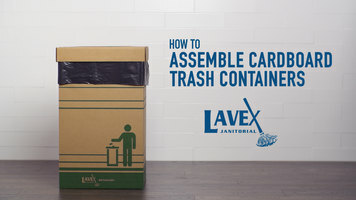 Assemble your Lavex cardboard trash container in seconds with the help of this step-by-step video! 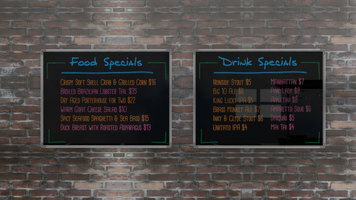 Learn about the different sizes and styles of Luxor black marker boards so you can choose the best one for your business!